From Academy Award-winning director Steven Soderbergh (“Traffic,” “Ocean’s” trilogy) comes a caper comedy with a twist. 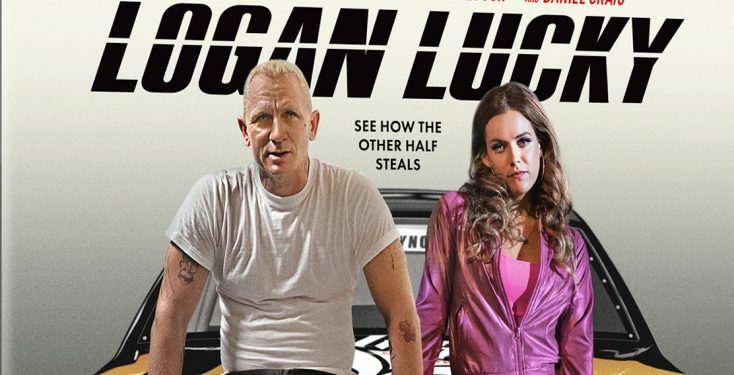 “Logan Lucky” rides into retailers Tuesday Nov. 28 on 4K Ultra HD, Blu-ray, DVD and On Demand, from Universal Pictures Home Entertainment. The heist comedy stars Channing Tatum (“Magic Mike” movies, “21 Jump Street “), Emmy nominee Adam Driver (“Star Wars: The Force Awakens,” “Paterson”), Seth MacFarlane (“Family Guy,” “The Orville”), Riley Keough (“The Girlfriend Experience,” “It Comes at Night”), Katie Holmes (“Dawson’s Creek,” “Batman Begins”), Katherine Waterston (“Inherent Vice” ), country singer/actor Dwight Yoakam (“Panic Room”), Sebastian Stan (“Captain America: Civil War”), Brian Gleeson (“Mother!”) and Jack Quaid (“The Hunger Games”), with Academy Award winner Hilary Swank (“Boys Don’t Cry,” “Million Dollar Baby”) and Daniel Craig (the James Bond franchise). Hoping to reverse a curse that’s hung over his family for generations, Jimmy Logan (Tatum) hatches a plan to rob North Carolina’s Charlotte Motor Speedway during the Coca-Cola 600, NASCAR’S biggest race of the year. He convinces his bartender brother Clyde (Driver) and hairdresser sister Mellie (Keough) to help him pull everything off–but first they have to break the bomb-maker Joe Bang (Craig) out of jail in broad daylight. Swank plays a no-nonsense FBI agent determined to bring the Logans to justice and keep them from racing away with the loot in this high-speed caper. The heist comedy also is available on digital HD. The 4K Ultra HD, Blu-ray, DVD and Digital HD editions include deleted scenes.